Mariam Monroe – Nutrition Expert at Ohana Cannabis Co.
Having intently studied the science and power of whole food nutrition for the past 5 years, Mariam has discovered that there are a multitude of amazing health benefits that come from consuming daily a wide variety of colorful whole foods - pain/inflammation reduction, heart health, immune health, brain/mental health, DNA repair, skin health, hair health, prenatal health, athletic performance/recovery, deeper sleep, more energy, the list goes on. Considering our country’s current health crisis, Mariam is fiercely committed to spreading the message that healthy, whole food is medicine. As a firm believer in plant medicine and natural healing solutions, Mariam is also studying and discovering that cannabis is medicine. As a part of her nutrition-cannabis studies, she is monitoring analytic trends about medicinal and recreational cannabis patients and what she is discovering is that the majority of patients are malnourished. 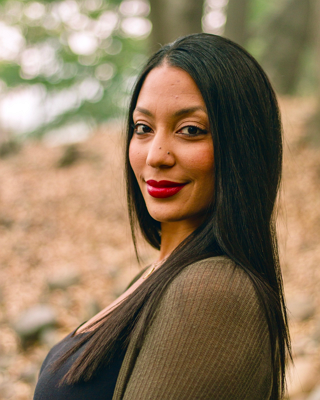 Born with a servant’s heart and a huge love for people, Mariam is thrilled to develop a niche that integrates her nutrition expertise in the cannabis industry to provide both medicinal and recreational cannabis patients even greater healing power by bridging their nutritional gap. Partnered with the world’s top Doctors, Scientists and Researchers, her mission is to educate, inspire and empower people all over the globe get back to the basics! Mariam believes that health doesn’t have to be complicated. By providing practical, doable and economically friendly solutions, Mariam is devoted to helping everyone find the beautiful synergy between thoughts, plants, movement, rest and hydration so that communities of all ages can live vibrant, healthy, and inspired lives.